By the end of 2015, U.S. renewable energy capacity from wind and solar power eclipsed 100,000 megawatts, with another year of historic growth. Despite its many advantages, however, community renewable energy has been a small fraction of this impressive figure. Below is part one of our Beyond Sharing Report, a report released in April 2016 about how community-owned renewable energy can capture renewables’ economic power. Be sure to come back and read parts two and three, published in the next week. In this report, we talked about several forms of community renewable energy. 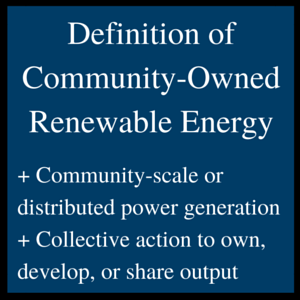 Community-owned renewables are owned locally, by members of the community. 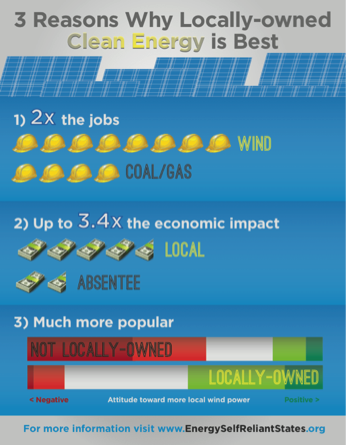 Shared renewables may or may not be locally owned, but the community can share the output. Group purchasing involves collective action to purchase renewable energy, such as rooftop solar arrays, but the benefits accrue to the individuals who host the solar on their rooftops. Unlike traditional electricity generation, wind and solar are very compatible with the first criteria—community scale—because both wind and solar power plants are made up of several to several hundred modular power sources (turbines or panels). Distributing power generation from these sources is relatively easy and economical under the current rules for the electricity system, especially in comparison to the severe limitations on collective ownership. For wind power, the scale of most wind farms makes them expensive, and their remote location makes sharing electricity output with the typical policies nearly impossible. The result is that less than 5% of total installed wind power capacity was part of a community renewable energy project through 2010. Less than 3% of wind power capacity added since then has been community-owned (and none have shared output). For wind power, the lack of collective ownership in the U.S. may not come as a surprise, but it should. In Denmark, for example, wind turbines were legally required to be owned by electricity consumers. Danish wind projects are typically owned by several to several hundred landowners and farmers in “wind partnerships.” The result is that 20% of Denmark’s power comes from wind, and 85% of that is owned by the residents of Danish communities. For U.S. solar energy, there has been massive growth in distributed generation, but limited opportunity for collective ownership. 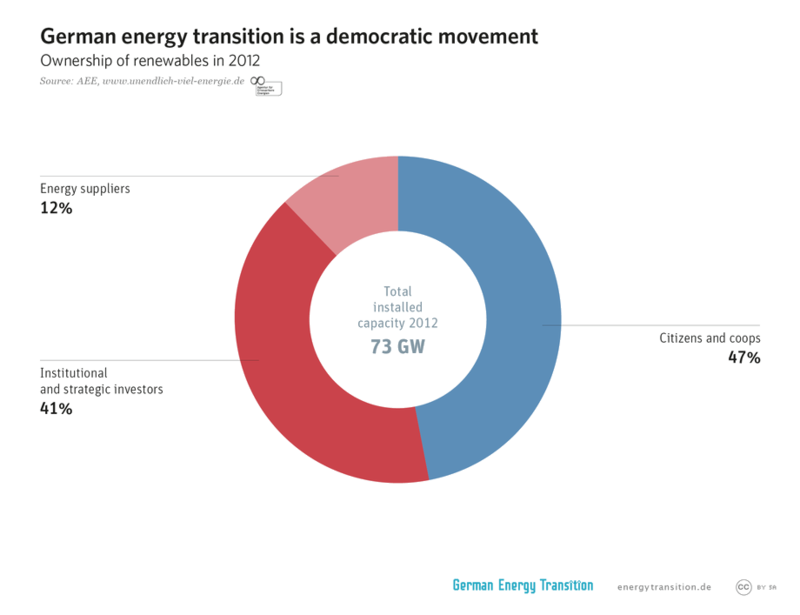 Half of the 25,000 MW of solar serves single residential or commercial property owners, with a scant 70 MW of community solar projects through the end of 2015.3 On the one hand, this is an impressive figure, mimicking the 50% of renewable energy capacity in Germany owned by citizens and cooperatives (below). 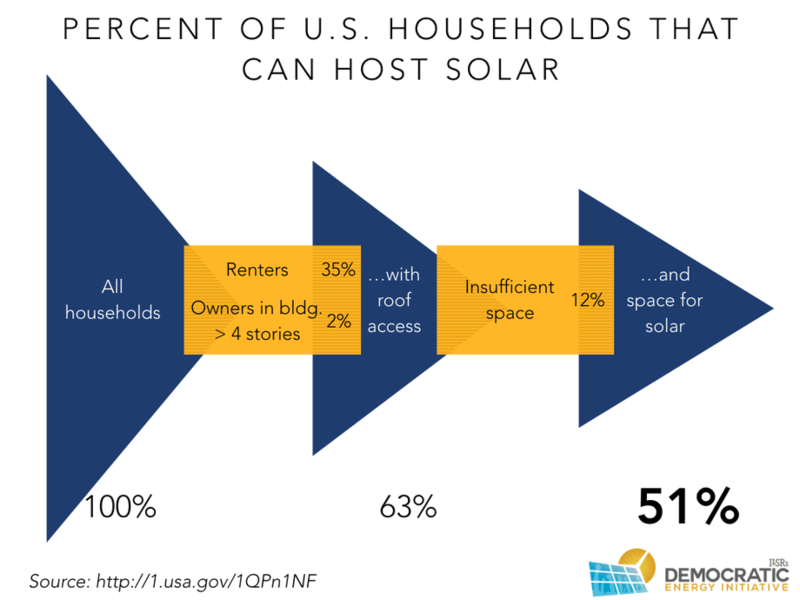 On the other hand, with nearly half of U.S. households and businesses unable to host their own solar panel, continuing growth in citizen ownership will require options for collective ownership or shared benefits. The relative dearth of U.S. community renewable energy stands in stark contrast to the opportunity for distributed power generation and the need for collective ownership options. 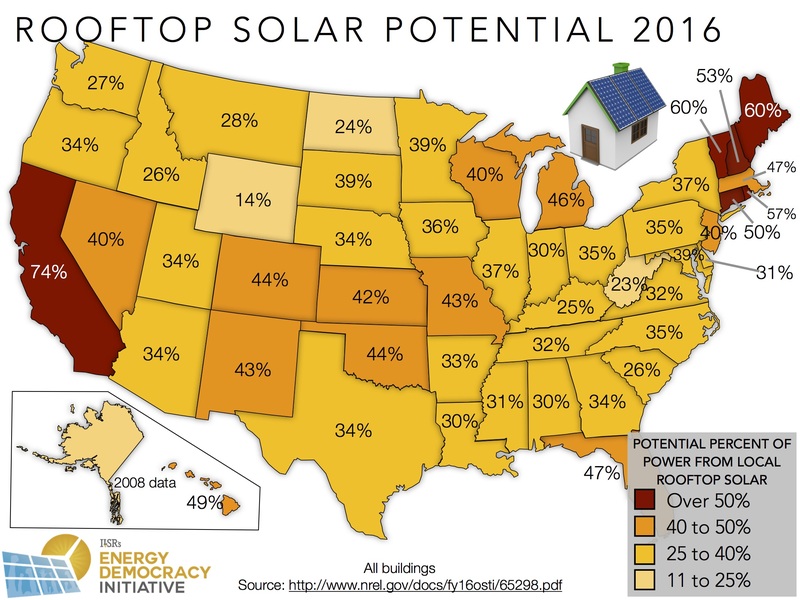 The following map shows that nearly every U.S. state could get 25% or more of its electricity from rooftop solar alone, and two-thirds of states could get 33% or more. But millions of homes and businesses can’t host solar arrays or wind turbines but have an interest in reducing their reliance on fossil fuels and on distant utilities. For example, the following graphic shows that half of U.S. households don’t have access to a sunny rooftop with sufficient space for a solar array. Similarly, about half of businesses lack control of sufficient roof space to meet significant portion of demand. 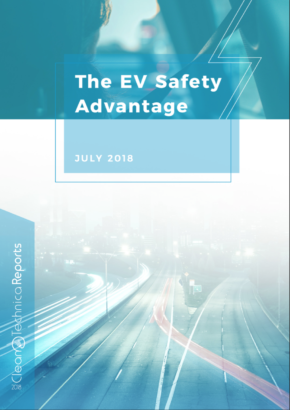 Additionally, many homes and businesses with or without the physical property to support solar or wind lack the financial wherewithal to make the upfront investment in renewable energy, despite its long-term economic benefits. Community renewable energy can extend the benefits of the electricity system’s transformation to everyone and building political support for its acceleration. It’s a timely opportunity, with an electricity system in the throes of a major transformation on the very issues of scale and ownership. The benefits of community renewable energy. The major barriers to community renewable energy. The barrier-busting policies and strategies to unlock its full potential. The remarkable examples of community projects that have already overcome the barriers. How cities and electric cooperatives represent existing “communities” than can go renewable. The benefits of community renewable energy fall into four categories: benefits from renewable energy, benefits of distributed power generation (scale), benefits of community scale and offsite generation, and benefits of local ownership. The benefits are cumulative from top to bottom. Price certainty, because of zero fuel costs for wind and sun. In Minnesota regulators value the zero fuel cost of solar at 3.2¢ per kilowatt-hour of natural gas electricity avoided, a total of $13 million if all natural gas power generation in the state were supplanted by solar energy. Health benefits due to zero environmental externalities from power generation, estimated at 2-5% of Gross Domestic Product, or between $360 to nearly $900 billion. Reducing variability of renewable energy production. Minimizing losses of electricity through long-distance transmission. 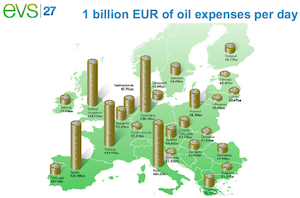 Use of brownfields or already-developed property for energy generation. Ability, in the aggregate, to reduce maintenance and capital expenses for distribution grid infrastructure. For example, the Long Island Community Microgrid will use 25 megawatts of distributed solar and battery storage to avoid a $300 million grid upgrade. Resiliency, by providing power generation locally to power important community buildings, e.g. powering hospitals when the larger grid fails. With an average of 213 participants per megawatt, the first 40 MW of community solar projects helped over 8,500 people go solar. Economies of scale, because community-scale institutions are less costly per Watt of capacity than individual solar arrays. Substantially greater economic benefits and job creation in the host community. Reducing concentration of political and economic power in the electricity business. Despite the enormous benefits, U.S. rules for renewable energy development have yet to catch up to the 21st century opportunity for community renewable energy. Federal securities laws make raising capital for community renewable energy relatively onerous. Federal incentives largely favor individual or corporate ownership and hinder ownership by community-benefit entities, such as public or nonprofit organizations. State rules allow monopoly utilities to wield enormous influence over potential competition on the distributed grid and generally prohibit sharing electricity from a solar or wind project owned in common. The following sections provide more detail on these barriers. The first question in developing any energy project is “where’s the money coming from?” Community renewable energy, especially community-owned energy, faces a unique challenge in raising capital because the owners of the wind or solar project are often distinct from the property owner, and spread over a wide geographic region. The simplest way to raise capital is through an existing entity, such as a community institution, local government, place of worship, or nonprofit organization. But as discussed in the next section, these entities can raise money for community projects, but not access tax incentives to fund and finance them. Alternatively, a community-owned energy project can be financed through a new organization and raise capital from the community directly. To raise money from potential investors, large and small, a community renewable energy project must file with the relevant federal (Securities and Exchange Commission) or state securities agency (e.g. Department of Commerce) to explain their offering, their pitch to investors, and to have their financials reviewed. Federal and state statutes designed to protect investors from fraud represent high-dollar compliance costs for many relatively small-dollar community renewable energy projects. Federal compliance is particularly costly, with upfront and annual compliance costs in the hundreds of thousands of dollars. For a 1 megawatt solar project on an IKEA store, the upfront costs and first year compliance costs are more than a tenth the total project cost. 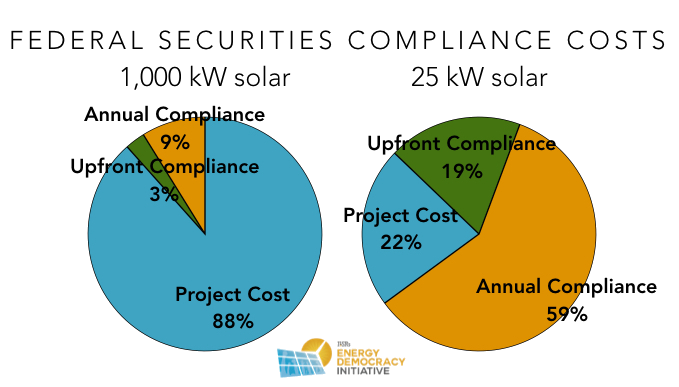 For a small, 25 kilowatt solar array like the University Park community-owned solar project, compliance costs exceed 75% of the project’s installed cost. 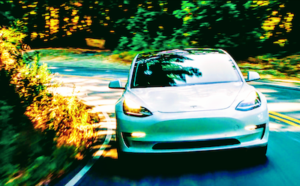 Fortunately, states offer exemptions to securities registration with the federal government for smaller projects, but the exemptions have limitations on the number of “non-accredited” investors (a.k.a. non-wealthy folks) and on advertising. Compliance costs are lower than for federal registration, but still run in the tens of thousands of dollars annually. 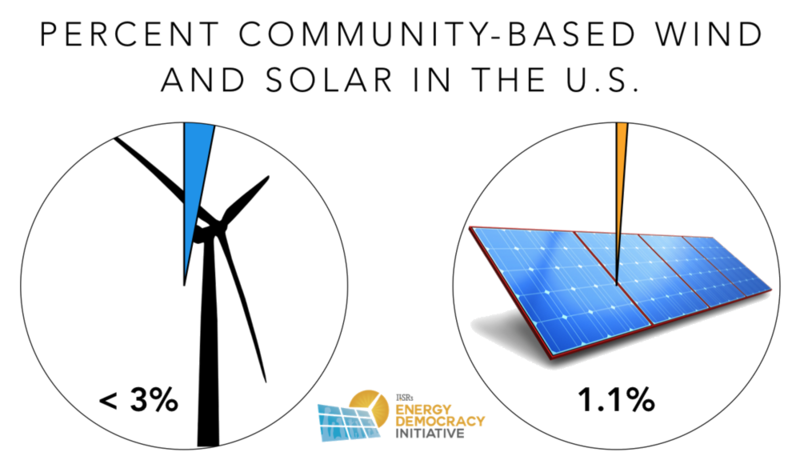 The result is relatively few successful community renewable energy offerings. The following table illustrates the exemptions to federal securities registration and their limitations. Additional state-level rules may apply. Regulation D, rule 506(c) Accredited investors only. Regulation D, rule 504 Limit of $1 million. 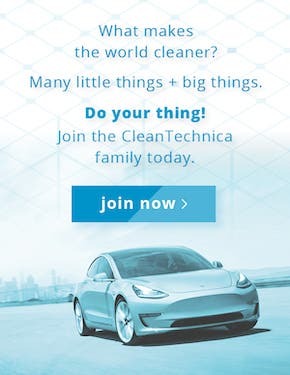 General solicitation/advertising typically not allowed. Intrastate, rule 147 Must get 80% of its proceeds from within the state, have 80% of its assets, and 100% of purchasers from within state. May only advertise within the state. Regulation A Up to $5 million. Private placement Must have prior relationship with investors. The federal tax incentives for renewable energy (the 30% tax credit for solar and the 2.2¢-per-kilowatt-hour production tax credit for wind) have long made community renewable energy more complex. Many of the logical entities to invest in community-based projects – local governments, most cooperatives, places of worship, or other nonprofit organizations – don’t pay federal income tax and can’t use tax credits. Even when community-owned projects are organized as for-profit partnerships or limited liability companies, the participants often lack sufficient tax liability to use the federal incentive. For example, a typical 2 megawatt wind turbine generates more than $130,000 in tax credits each year, which would require 18 owners with average tax liability of $7,500. But it gets more complex. For many individuals, the only tax liability they can offset with the tax credits may be the income from the renewable energy project itself (unless they invest in other ventures in a similar fashion, or have rental property). Although the federal tax credit can be carried forward to next year’s tax filing, it’s unclear for how long. These limitations drive community developers into partnerships with large companies or Wall Street banks who can use tax credits and provide capital, but who take a substantial cut of the project revenue in exchange. The “flip” arrangement was commonly used in community wind, where a big investor retains nearly-full ownership of a community wind or solar project for years to absorb the tax incentives (usually 10 or more years for wind and 6-7 years for solar), and then ownership of the project flips back to the local owners. 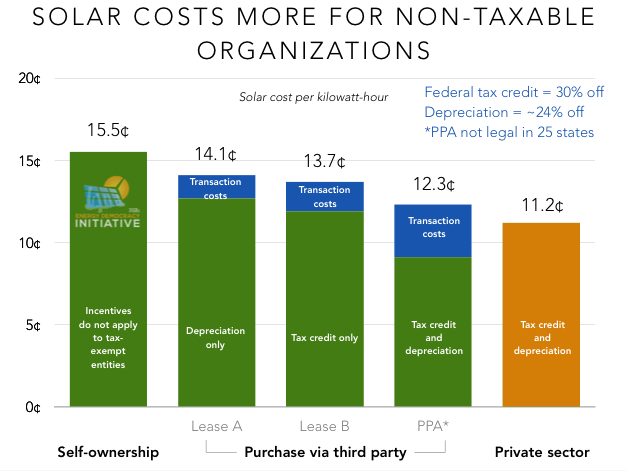 The chart below illustrates this issue of tax credit access by comparing the cost of solar electricity for projects owned by a non-taxable entity. On the left is a solar project priced without any federal tax incentives. In the middle are three common options for third-party ownership where the city or nonprofit retains some of the economic value of federal tax incentives. 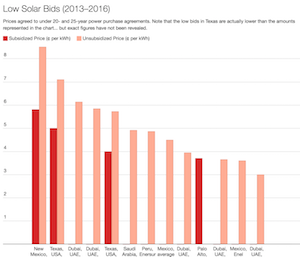 The bar on the right shows that none of a non-taxable entity’s strategies to own solar can compete with a private, for-profit entity that has straightforward access to the federal incentives. There was one significant exception to the inaccessibility of federal tax credits. After the financial crisis in 2008, legislation included in the federal Recovery Act allowed conversation of the tax credit into a cash grant for projects begun between 2009 and 2011. 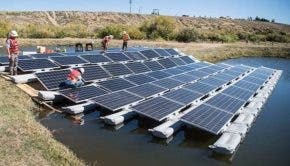 The law addressed a severe shortage of tax liability to absorb the renewable energy tax credits due to the collapse of the economy, but by removing the tax liability barrier it also opened the door to several of the exceptional community renewable energy projects highlighted later. It was also much more efficient, delivery more of the dollars directly to projects, rather than to Wall Street tax equity partners. Unfortunately, the cash grant program was allowed to expire at the end of 2011. For community renewable energy projects that overcome the first two challenges, the issue of electricity production awaits. A fundamental concept in a community renewable energy project (beyond ownership) is sharing the electricity produced. 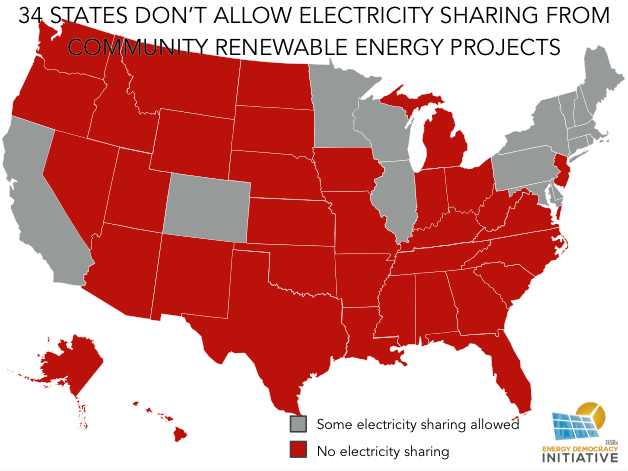 But while individuals can use on-site solar or other renewable generation to offset their electric bill in 44 states (called “net metering”), the rules for sharing electricity from non-utility projects are much more limited. In many cases, utilities have been fighting to weaken traditional net metering laws and so far, only 16 states have a policy that allows electricity sharing. In most states, no one but the utility can sell electricity to customers within a given geographic area. These are called monopoly or franchise rights. 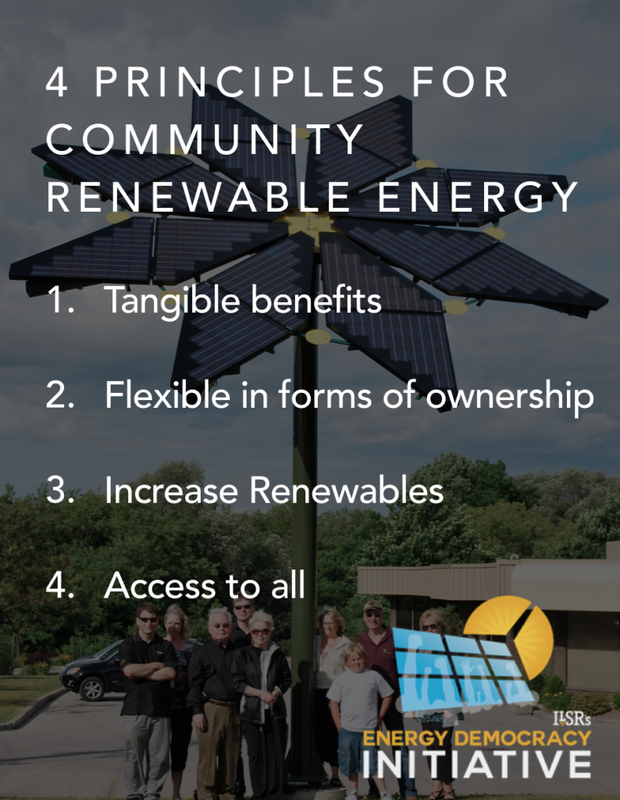 There are three common exceptions, all of limited value to community renewable energy. Self-generation, usually supported by net metering, allows a single property owner to offset power use with on-site power generation, but not to share those electricity credits with others. Selling power to the utility directly means competing with large-scale power plants on price, even though distributed generation has higher value. 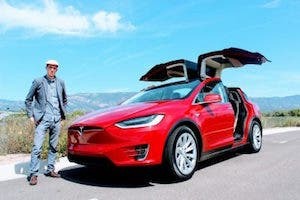 Selling to third party owners is allowed in about two dozen states, but requires identifying a property owner who is willing and able to host a community renewable energy facility. In other words, there’s no widespread policy that allows for easy sharing of electricity generation from community renewable energy projects. The only resolution is changing the rules. Full report available at ilsr.org. For timely updates, follow John Farrell on Twitter or get the Energy Democracy weekly update. Be sure to come back and read parts two and three, published in the next week.